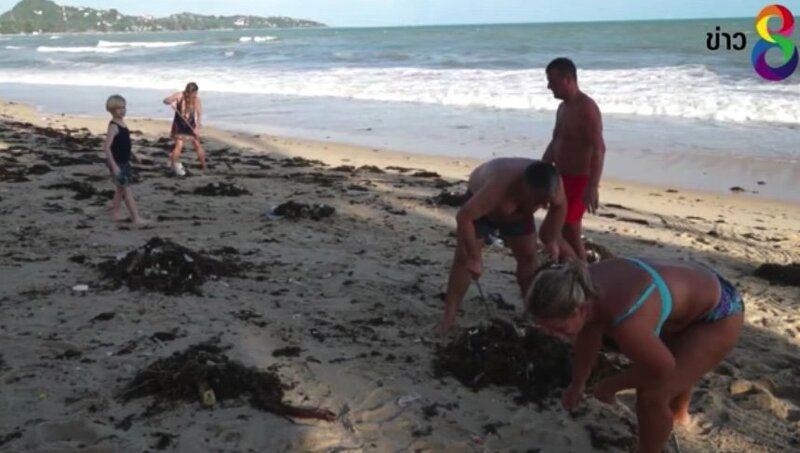 Dozens of foreign tourists were filmed clearing up the beaches on Koh Samui after Storm Pabuk had passed through. 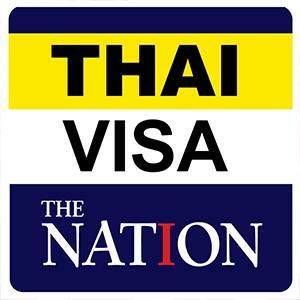 Channel 8 reported that local tourism operators were most impressed by the visitors to Thailand. A few Thais were also seen near the end of the video putting in some elbow grease to help the foreigners. A dog was watching - somewhat confused by the spectacle. 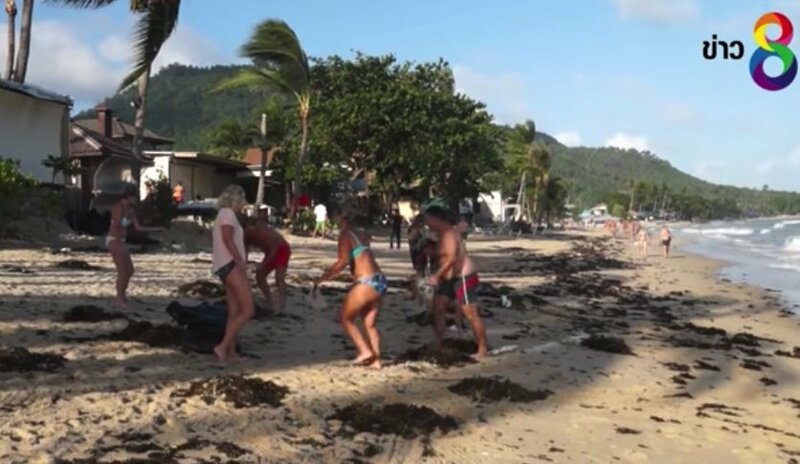 The beach was strewn in litter and seaweed and the tourists, young and old, male and female, some with rakes, were all chipping in to tidy up.